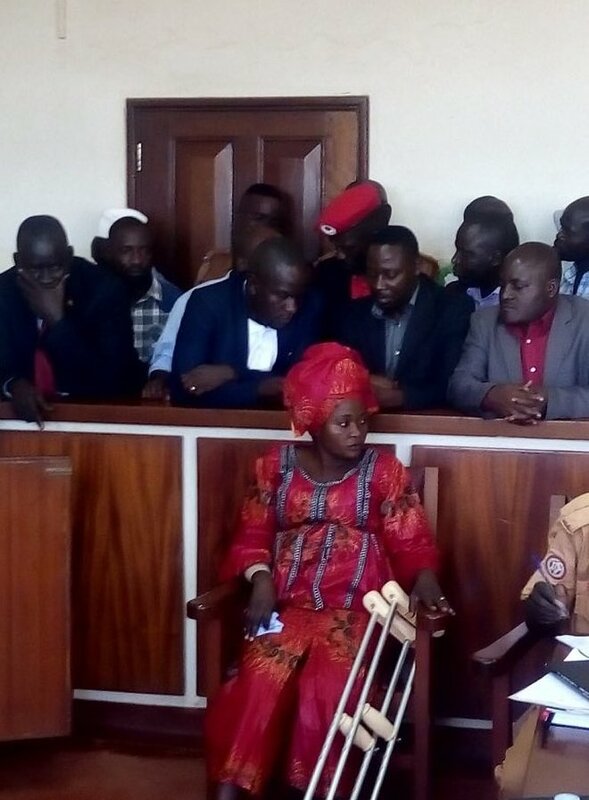 GULU – Kyadondo East Member of Parliament Robert Kyagulanyi Ssentamu aka Bobi Wine, Arua Municipality MP, Kassiano Wadri and 33 have this morning October 1 appeared in Gulu Magistrates Court to answer charges of treason. Bobi Wine and his co-accused face charges relating to the August 13 violence in the run-up to the Arua Municipality by-elections to replace slain MP Col Ibrahim Abiriga. In the chaos that rocked Arua, Bobi Wine’s driver Yasin Kawuma lost his life, and President Museveni’s car was stoned as suspected Kassiano Wadri supporters attacked the presidential motorcade. The Resident Judge, Stephen Mubiru court pushed the case to December 3 on request of the defence lawyers. Counsel Asuman Basalirwa also said he had started on the process of securing bail for two of the accused who have been in jail. “We already have a meeting secured with the High Court judge after this session. I can guarantee that the two will be released on bail sooner than later,” defence lawyer Basalirwa told court.